This cross-body bag sewing project is absolutely ideal for re-using existing textiles such as nylon, velvet, decorator, upholstery, twill, canvas, tweed, as its color-blocked design makes this sewing project an excellent scrap-buster. 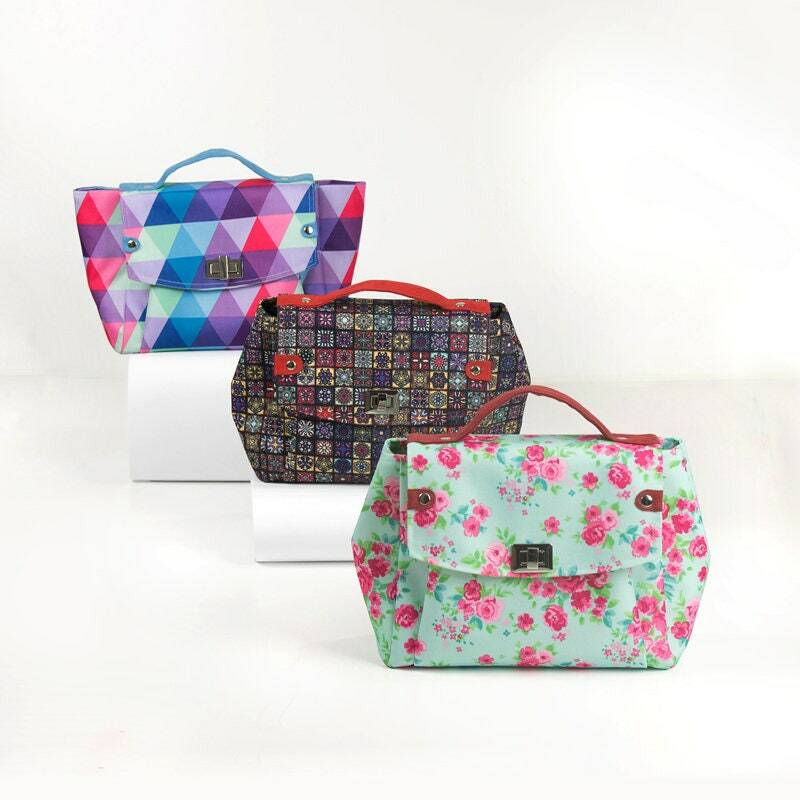 Creating one-of-a-kind handbags doesn’t have to be complicated and expensive! Pingback: Pandora Hipster: Cross-Body Bag - PDF Sewing Pattern – Sew & Sell! | PatternPile.com - sew, quilt, knit and crochet fun gifts!